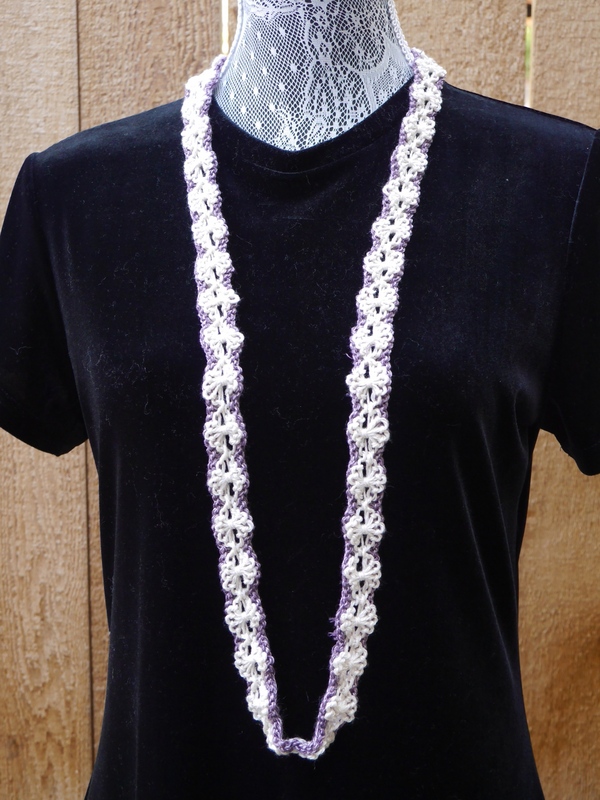 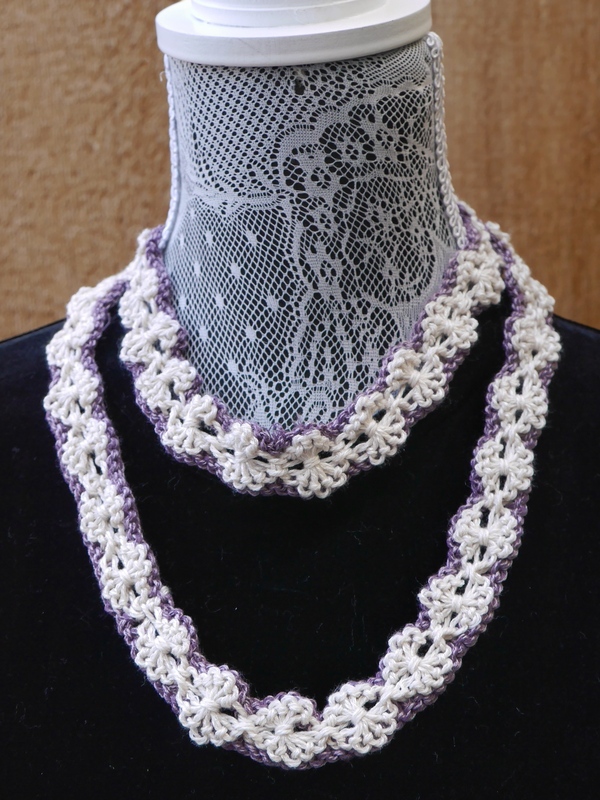 The Tridacna Cowls and Necklace are named after a giant clam! 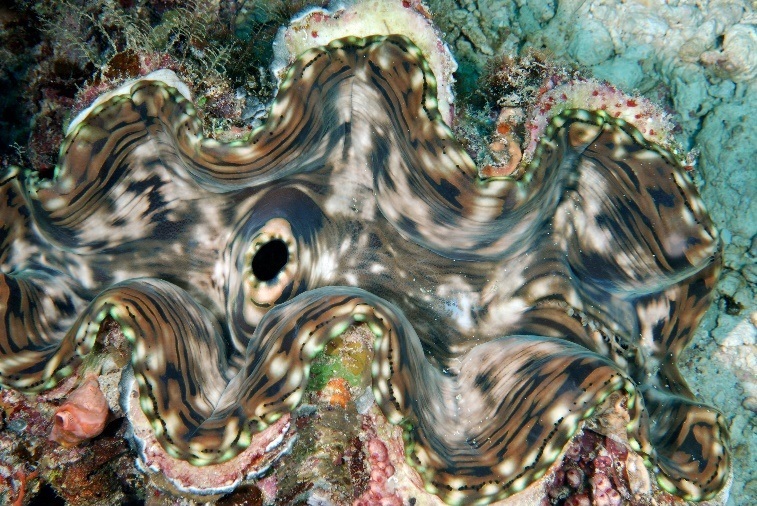 The scalloped edges of the elongated stitches mimic the fluted edges of the Tridacna clam’s shell. 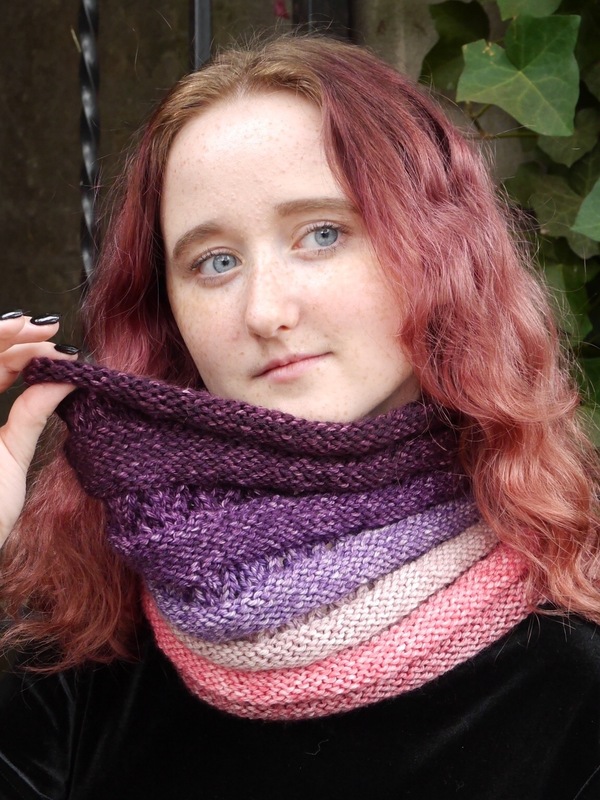 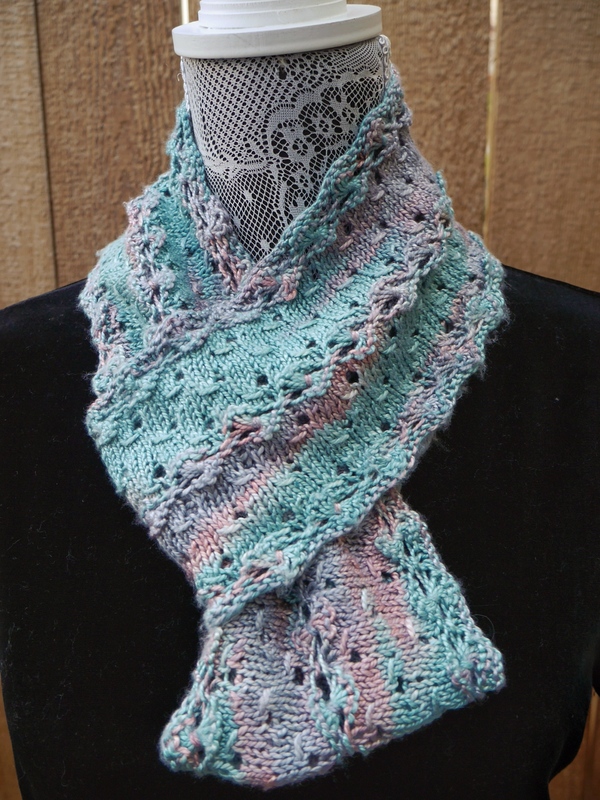 This cowl can be knit as a long infinity loop, a short cozy cowl, or a simple necklace. 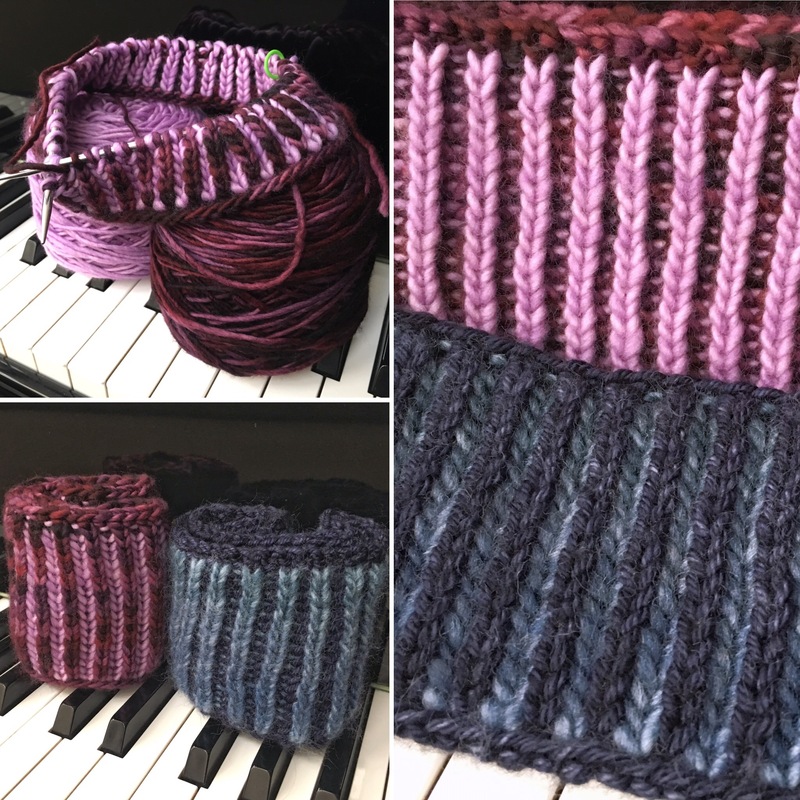 The longer cowl features yarn specially dyed for A Good Yarn in Sarasota, Florida, in colors inspired by the Tridacna clam. 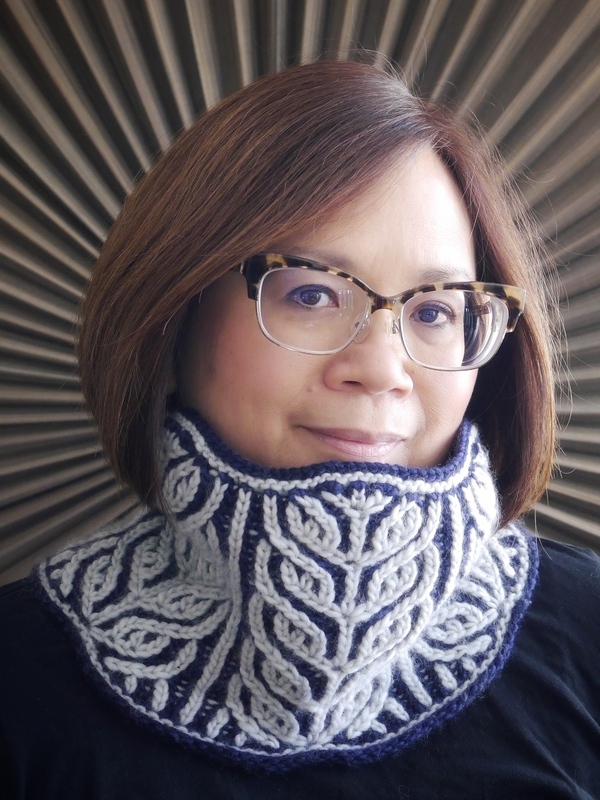 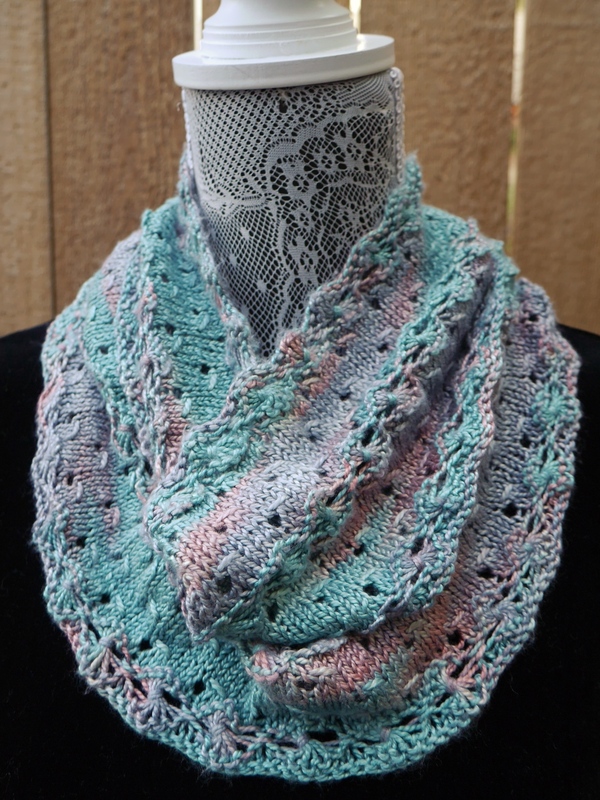 The short cowl and necklace are shown knit in two colors. 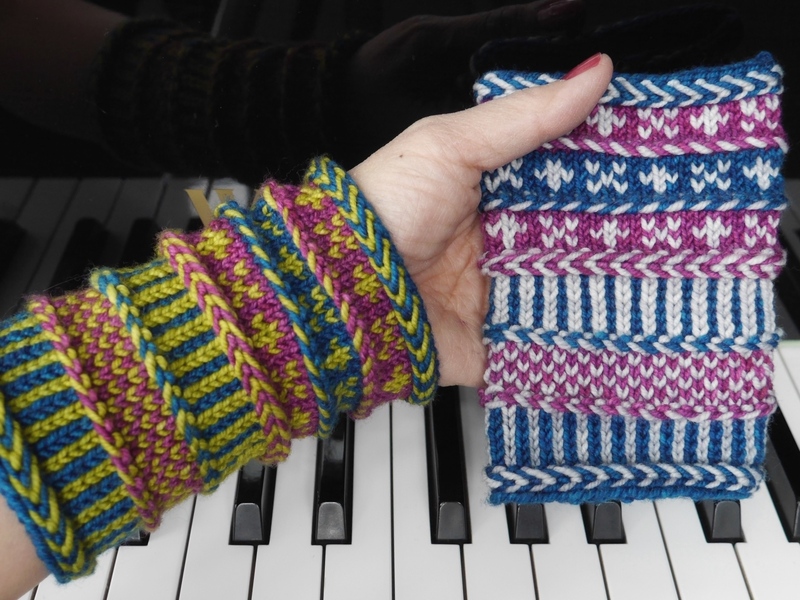 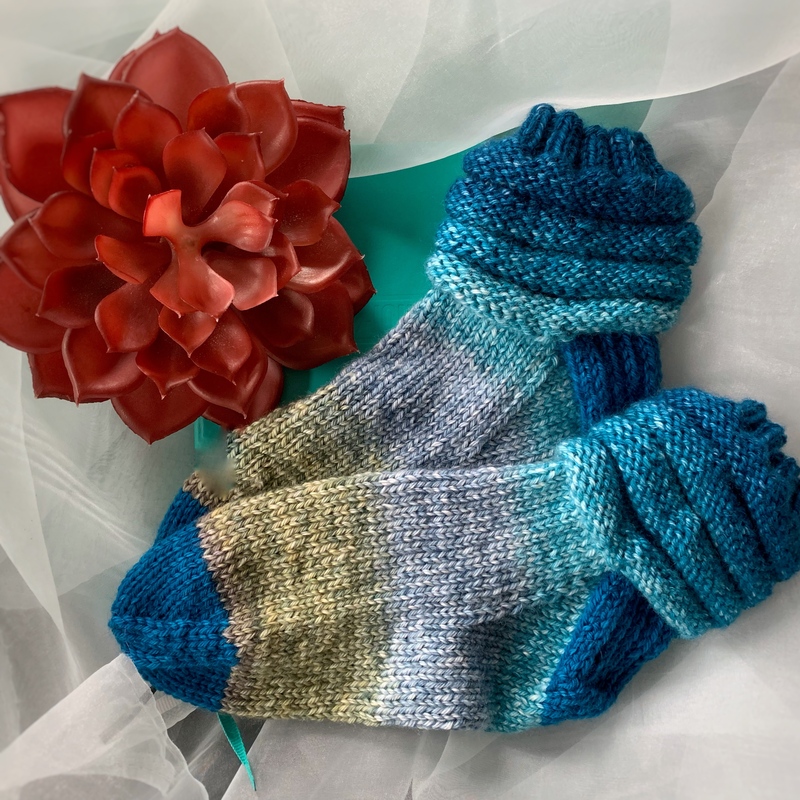 Knitter’s choice! 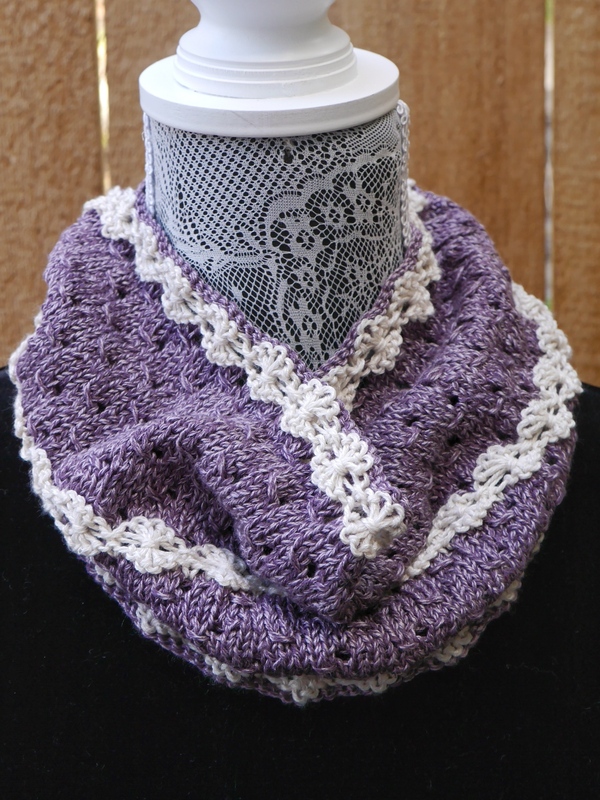 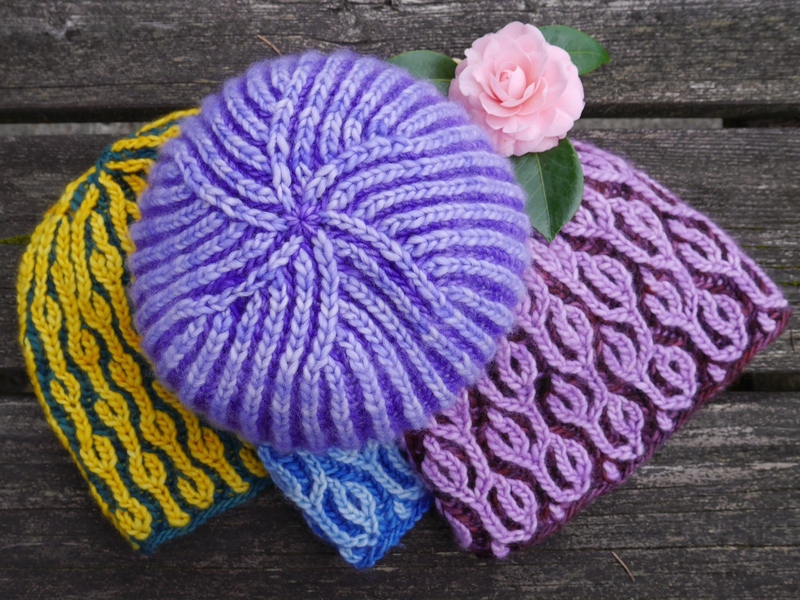 The pattern is written for DK weight yarn. 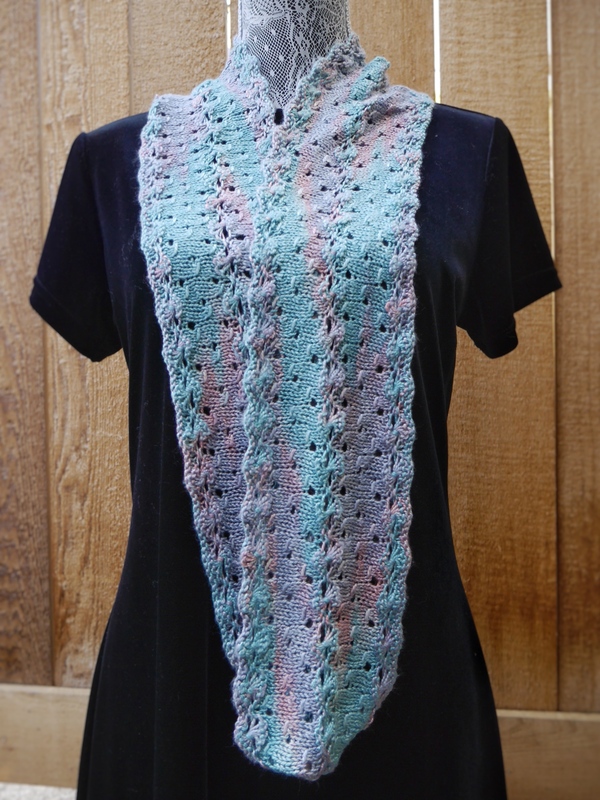 Silk enhances the drape of these pieces. 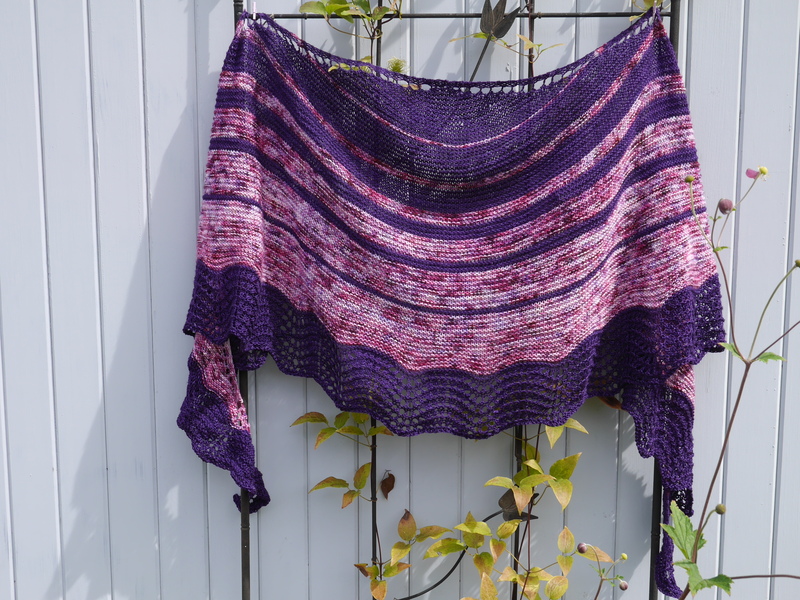 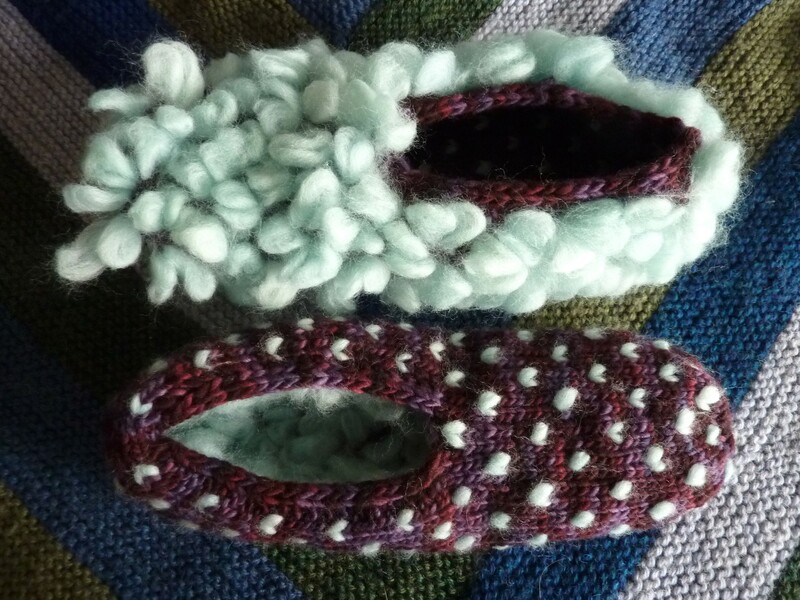 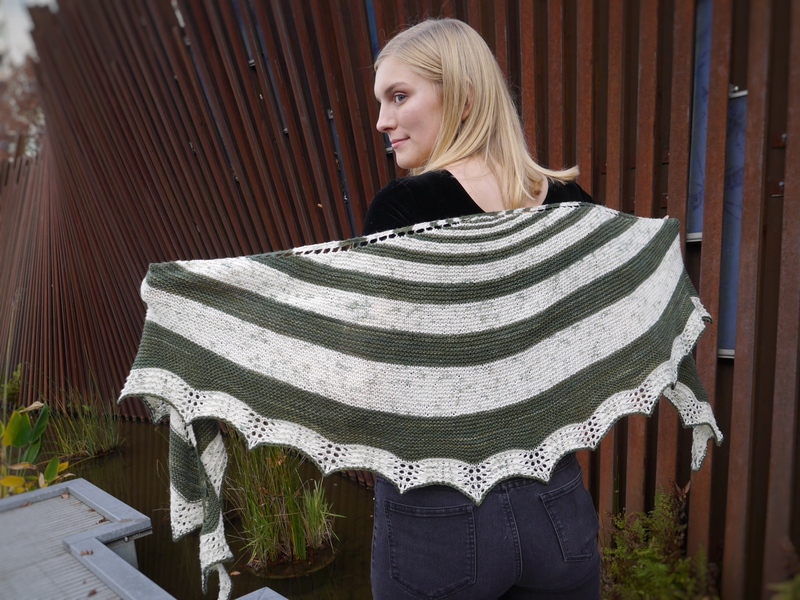 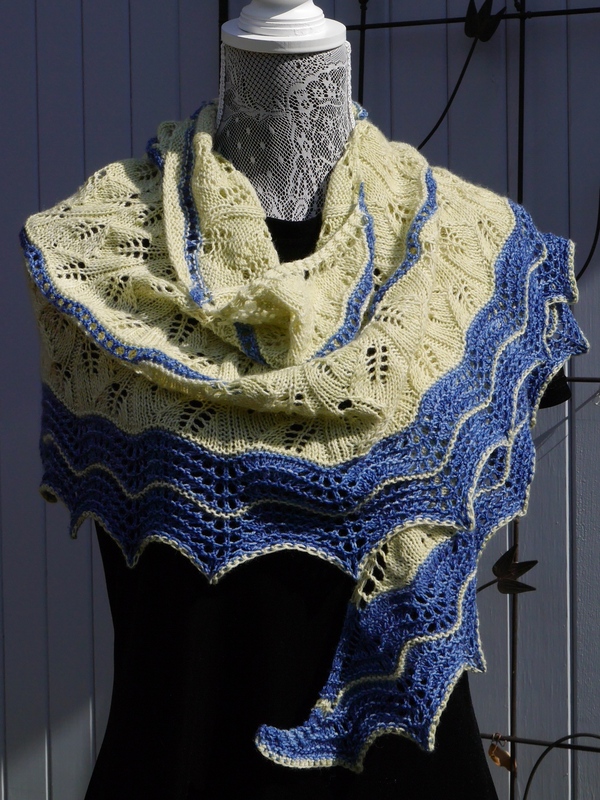 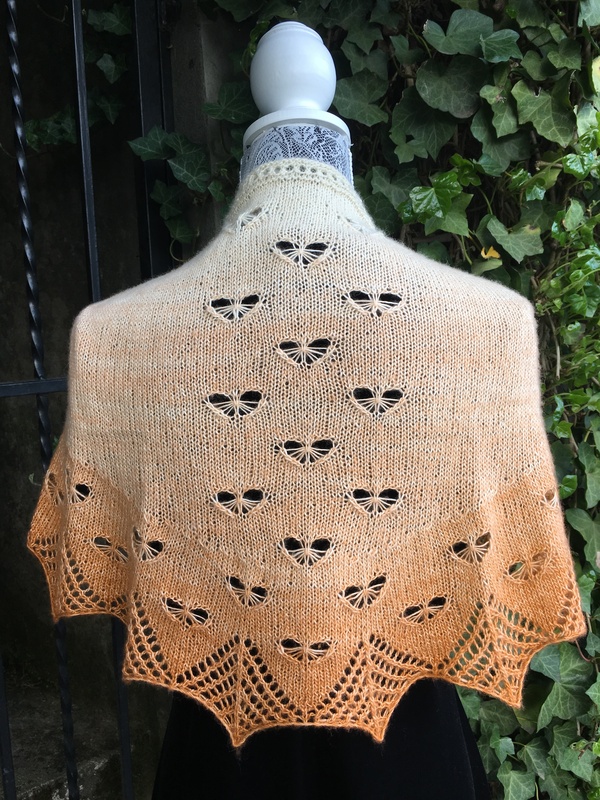 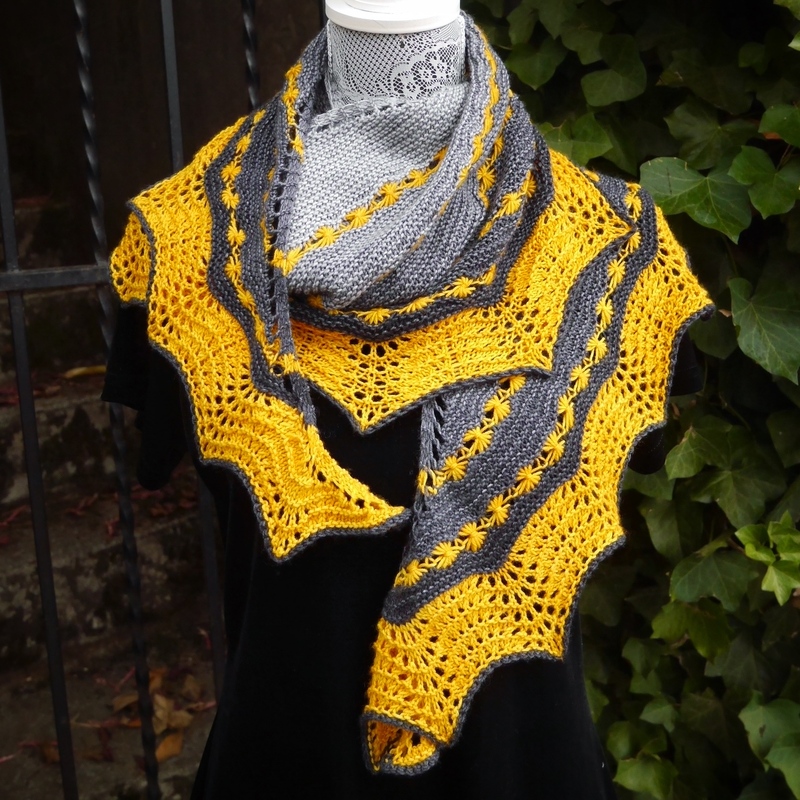 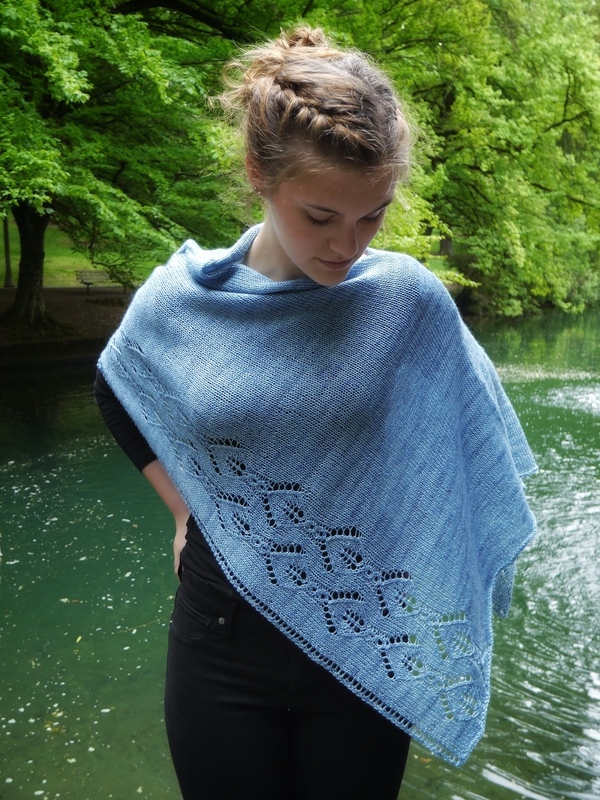 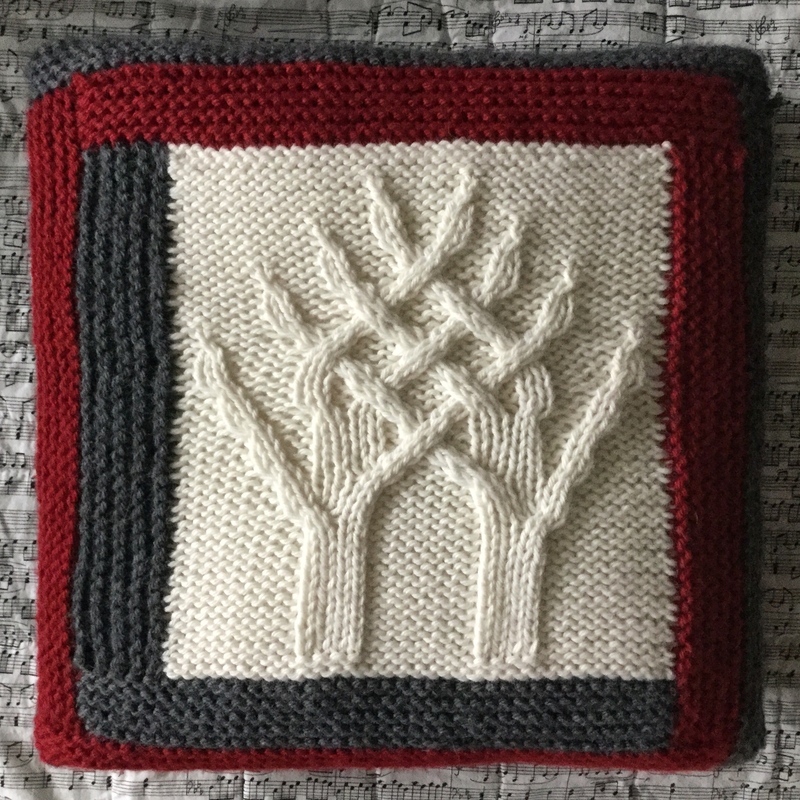 This pattern is available via pdf download through Ravelry. 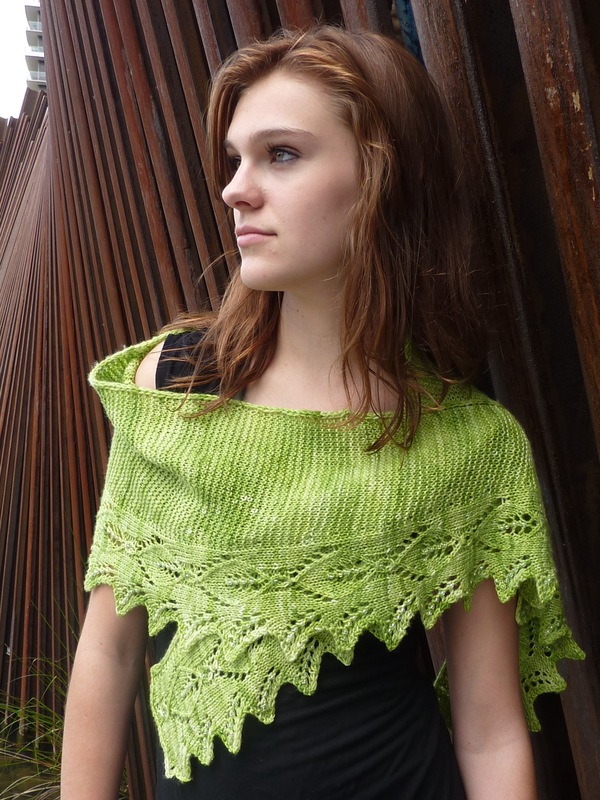 Pattern page is here.